Alexandre encountered his first computer in the eighties, and he disassembled it to know how the thing worked. While pursuing his logical path towards information security and free software, he worked as senior security network consultant at different places (e.g. Ubizen, now Cybertrust). He co-founded a startup called Conostix specialized in information security management, and the past 6 years, he was the manager of global information security at SES, a leading international satellite operator. He is now working at the national Luxembourgian Computer Security Incident Response Team (CSIRT) in the research and operational fields. 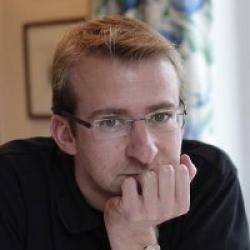 He is also lecturer in information security at Paul-Verlaine University in Metz and the University of Luxembourg.